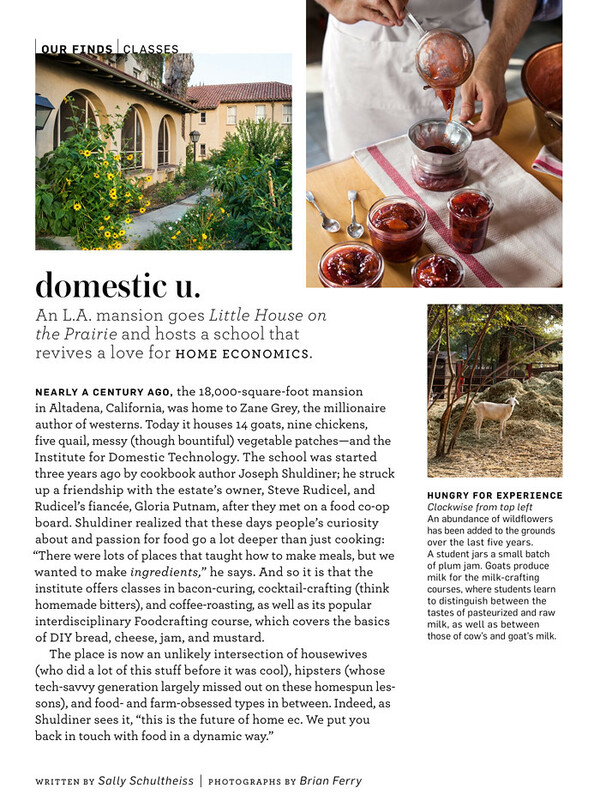 I’m really excited to share this work – I photographed The Institute of Domestic Technology in Altadena, CA for a story in the current issue of Martha Stewart Living (July 2013). I’ve added a larger selection of the photos to my portfolio – check it out: http://www.brianwferry.com/institute-of-domestic-technology-msl. You can find the issue on newsstands now. Thanks to MS Living and everyone at the Institute of Domestic Technology, this was a really fun assignment. Pretty… So nice to connect the photos with the photographer. 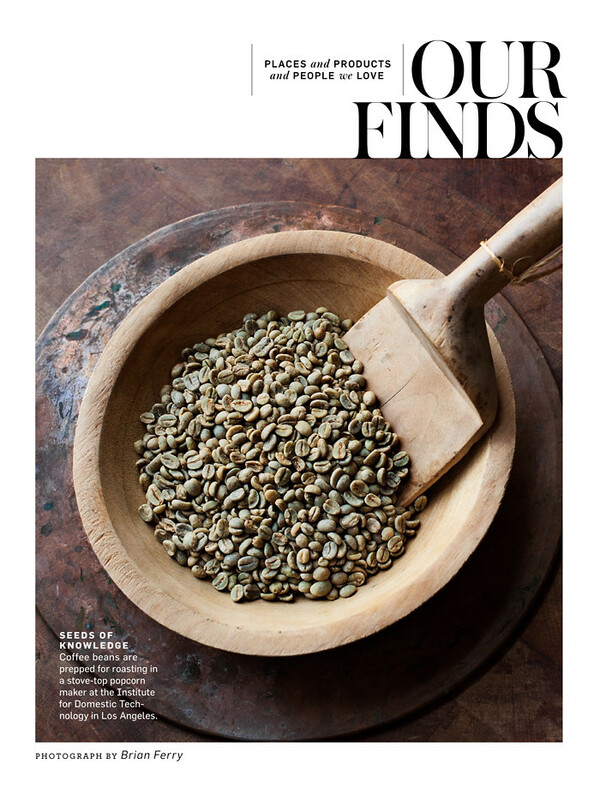 Love the header shot of the raw beans especially. I picked up this issue a week ago and was totally surprised to turn the page, read the credits and see your name! 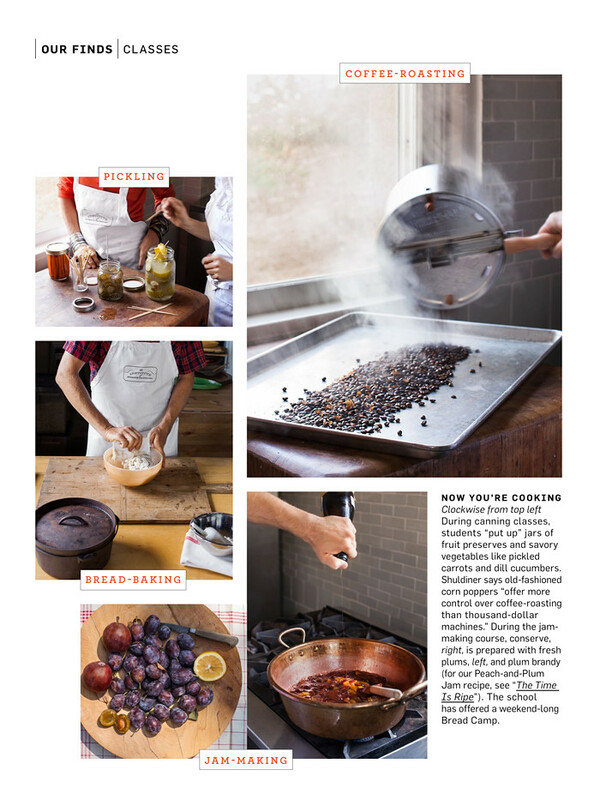 Beautiful shots; I love the exterior photos and I can just smell the sticky sweetness of the jam-making. I cherish the The Pantry at Delancey in Seattle for creating a similar venue for communal learning and can’t wait until they’re awarded a feature like this in a major publication (with an equally amazing photographer to document). Brian these photographs are beautiful! Did you use only available light? you’d ALREADY arrived, but you’ve arrived even MORE having worked for MS Mag, congrats!